It has never been a secret that by the time dinner rolls around each day, any creativity or ideas that I may have had have usually disappeared. Pasta, again? When did we last have tacos? Who's up for pizza? This month, however, it's even easier to come up with another option, as February is National Hot Breakfast Month! Are there people out there that don't perk up when they see things like eggs, bacon, pancakes and toast on their plate... whether it is in the morning or not? Therefore, there isn't a better time than now to kick dinner boredom to the curb by serving up breakfast for dinner. It's a great option that, according to a national survey, more than 91% of Americans say they have tried, with 56% doing so once a month and 25% of us enjoying it at least once a week! 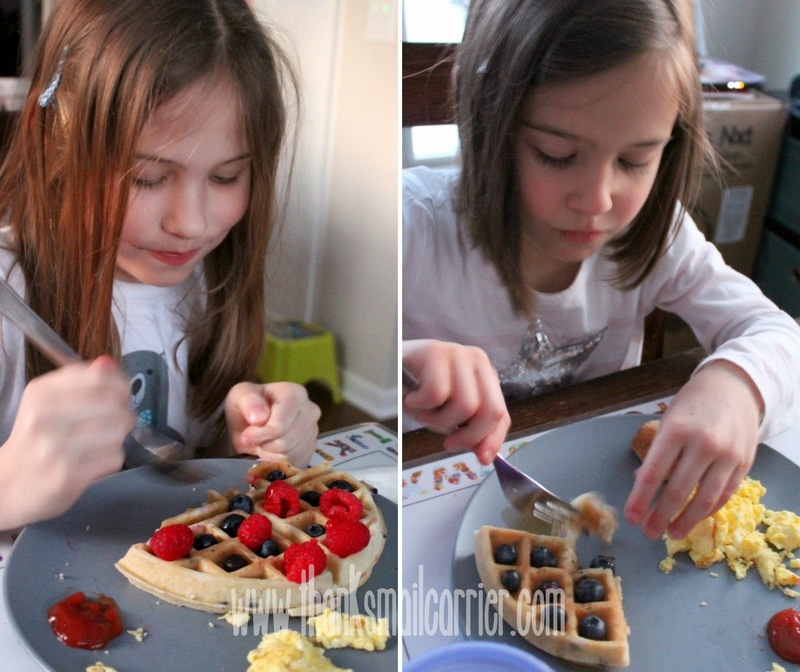 Ready to start a breakfast for dinner tradition in your house as well? 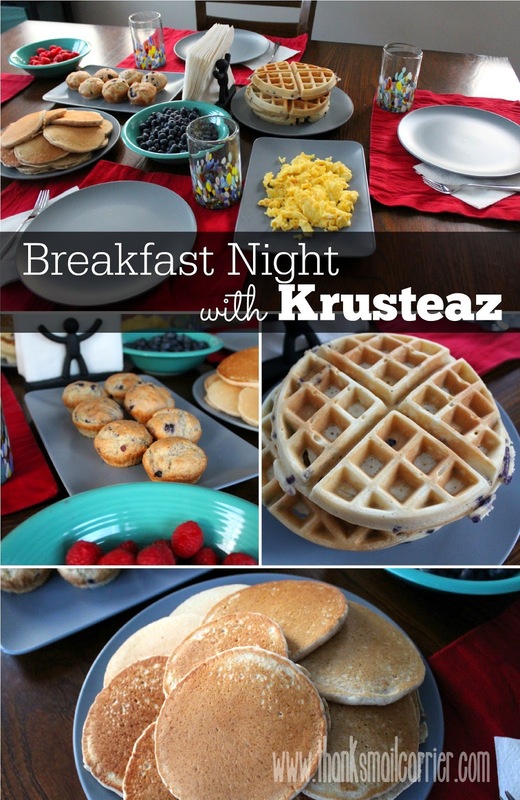 Then join in as Krusteaz has designated Wednesday nights as Breakfast Night! Whether you reach for one of their classic favorites or one of the new additions to their product line, you can be confident that they have included only the finest and freshest ingredients and that the result will be a guaranteed crowd-pleaser. It is no wonder that Krusteaz is the perfect brand to honor National Hot Breakfast Month and help get families everywhere into joining in on Wednesdays for Breakfast Night! We have tried a variety of Krusteaz mixes in the past and have always been extremely happy with the results. But there was still no doubt that we couldn't wait until Wednesday to arrive so that we could dig into our Buttermilk Pancakes, Blueberry Belgian Waffles, Chocolate Chunk Muffins and Honey Wheat Pancakes! It really couldn't be much easier to open up a Krusteaz baking mix, put a few scoops in a bowl with an ingredient or two, and start cooking! 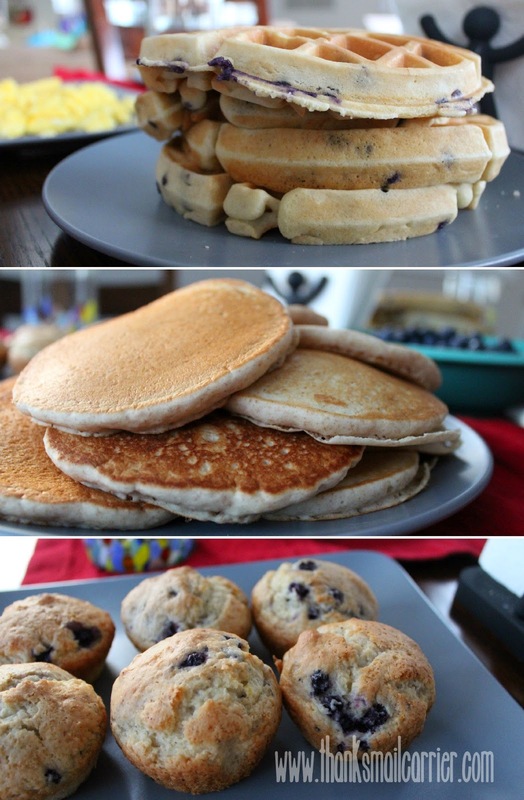 ...I flip, flip, flipped Honey Wheat Pancakes until there was a tall stack just waiting to be eaten. Add in some scrambled eggs and fruit and the result was a Breakfast Night feast that had the entire family drooling to dig right in! As well as the delicious flavor that we have come to know and enjoy from Krusteaz, I love that their mixes always end up so satisfying. 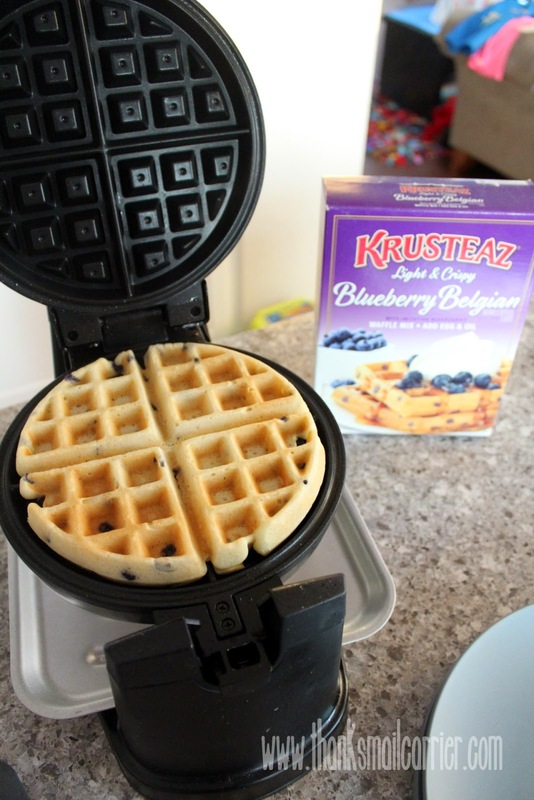 The Blueberry Belgian Waffles packaging states that they are "Light & Crispy," the Honey Wheat Pancakes claim to be "Light & Fluffy" and the Chocolate Chunk Muffins pictured on the box are full of chocolate bite after bite. Sure enough, each of these mixes easily lived up to those claims and were delectable from start to finish! Our Breakfast Night was, without a doubt, a hit that we will surely be repeating again and again. The combination of the ease of preparation and it being a fun way to break up the monotony of weekly dinner night was the icing on the cake to the complaint-free meal and happy, full bellies. With everything from cookies to muffins to pancakes (and much more! ), there's a Krusteaz mix for everything. Whether you're like me and follow the recipe or you're more of a creative baker — it's very easy to take any Krusteaz mix and whip up your own creation — the end result is something that will always wow family and friends. Be sure to head over to Krusteaz.com to find out more about all of their incredible products, while also connecting with them on Facebook, Twitter, Pinterest and Instagram. For more breakfast for dinner inspiration, you'll also want to stop by their Breakfast Night page for recipes, menu ideas, tips and more. 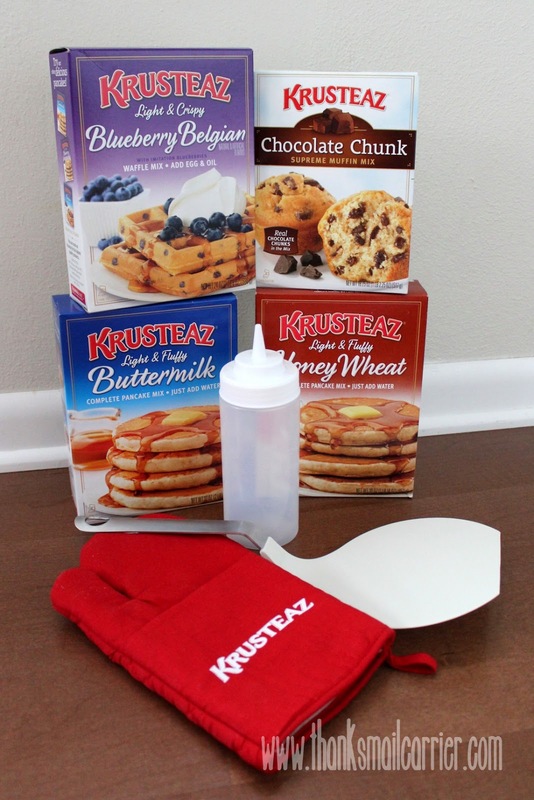 One lucky person will win a Krusteaz Prize Pack*! 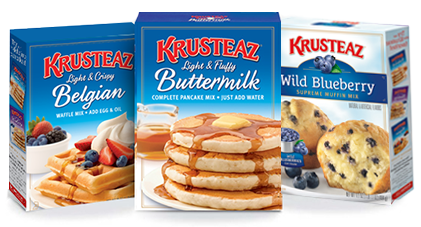 *Prize Pack includes the following Krusteaz mixes: Buttermilk Pancake Mix, Blueberry Belgian Waffle Mix, Chocolate Chunk Muffin Mix and Honey Wheat Pancake Mix, as well as Krusteaz coupons for free product. 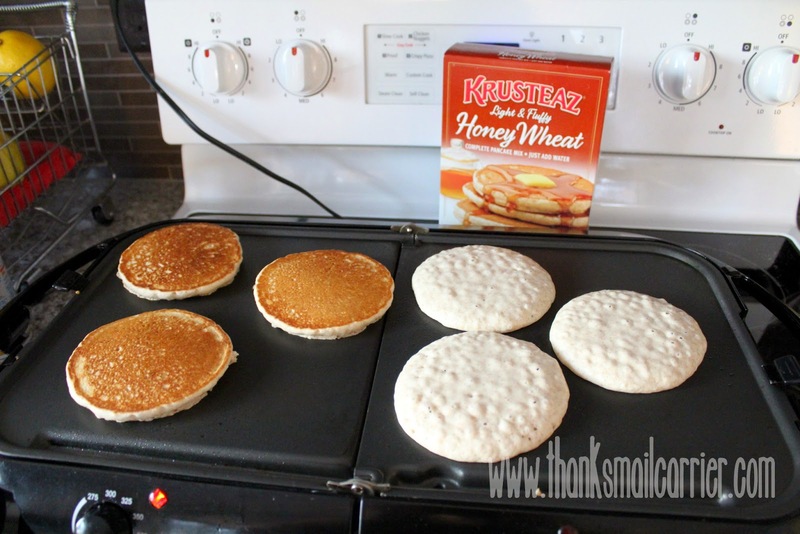 A big thank you to Krusteaz for providing products for me as well as a prize pack for one lucky giveaway winner. The opinions shared are my own and honest and if you really need to see more, click here to see how I roll.